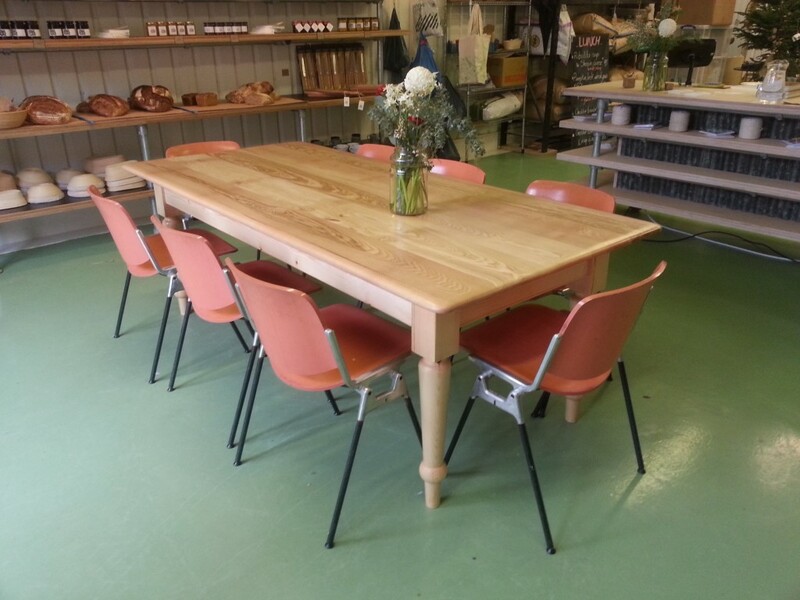 Inspired by the table I grew up with, this commission for the e5 Bakehouse is made from Pine and Ash. With turned legs and a soft overall edge, it softens the space within their railway arch. It tends to mean a longer than usual lunch!